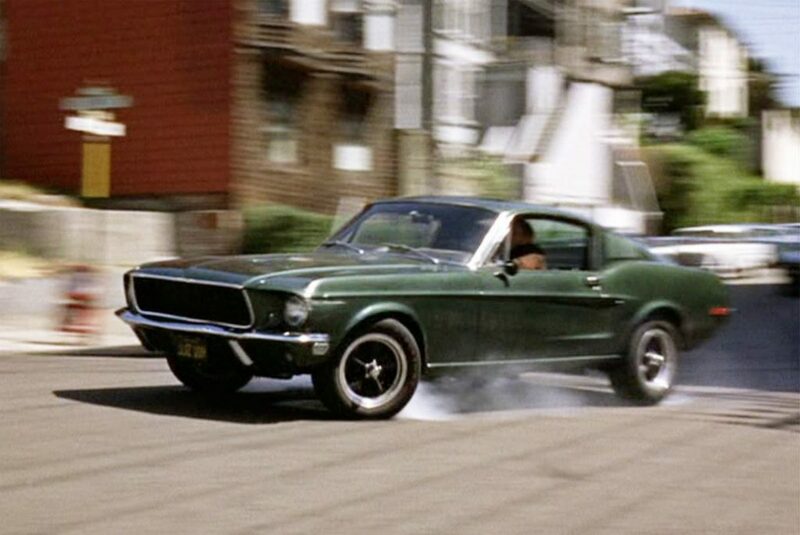 The Highland Green Mustang GT 390 from the movie Bullitt has been named the all-time star Ford of the silver screen, following a survey carried out by one of the country’s leading events for the Blue Oval, FordFest. Ahead of the Ford scene season closer, which takes place at Santa Pod, Beds, this weekend, the organisers ran a public survey to find out which of the famous Fords of film and TV resonates most with the British public – and the star of the show will be a replica of the iconic Bullitt Mustang itself, alongside its Dodge Charger nemesis. Dave Redhead’s Mustang is period correct in every detail, while Chris How’s black 440 R/T Dodge Charger is identical to the one that duelled with Steve McQueen as Frank Bullitt in the most famous car chase of all time. Hot on its heels, true to form, were detectives Regan and Carter in the Roman Bronze Consul 3000 GT made famous by the Seventies cop drama, The Sweeney, while fellow 1970s law enforcers Bodie and Doyle, The Professionals, were in hot pursuit in the series’ famous silver Capri 3.0S. Police officers from both sides of the Atlantic completed the top five, with DI Gene Hunt’s Mk 3 Cortina from Life on Mars in fourth position, and US crime enforcement duo Starsky and Hutch in their distinctive red and white Gran Torino filling the next two positions. As well as the Bullitt pairing, FordFest will pay tribute to some of the other cars that made the Fords on Film top 10, such as the Ford Mustang GT500 ‘Eleanor’ from Gone in 60 Seconds, the 3.0S Capri from The Professionals and the famous red and white Gran Torino from Starsky and Hutch, along with a replica of the ‘Interceptor’ Ford Falcon from Mad Max, which came in just outside the top 10. Based at the world famous drag strip in Podington, Beds, FordFest’s first year saw incredible attendance, with over 1,700 club cars on display, and 2016 looks set to be even bigger and even better. From Anglias to Zodiacs, via Mondeos and Mustangs, Fords of all eras will be in display as both club and individual entries, while the drag strip itself will be active, with a Ford-themed ‘Run what Ya Brung’ event taking place, with recent and classic Fords going head-to-head in a new vs. old face-off. Other highlights include the massively entertaining Drift Trikes (at just £10 a go), a Show and Shine, entrance photography by Photography UK and stands from the leading Ford titles, Fast Ford and Classic Ford. FordFest is part of a family of Ford events celebrating Europe’s love for the famous blue oval brand, including the International Ford Show, Classic Ford Show, The Ford Summer Festival and Ford Fair. Tickets are available to book online via the official website, at www.fordfestshow.co.uk, with a range of camping and advanced purchase savings available*.